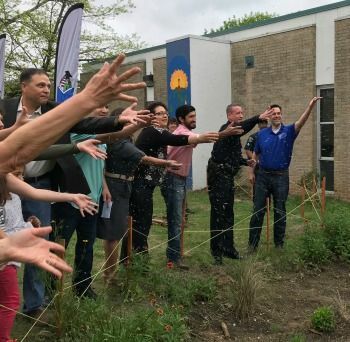 Austin, TX: On March 24, 2018 kids, parents, teachers, administrators and elected officials gathered together to dedicate the first Green School Park at Barrington Elementary School in Austin, TX. The Green School Park concept is a partnership between the Austin Independent School District (AISD) and the City of Austin (CoA) to activate school campuses with outdoor classrooms and natural play areas. The intentional design of the campus allows for outdoor learning during school time and acts as a park for the community during out-of-school time. 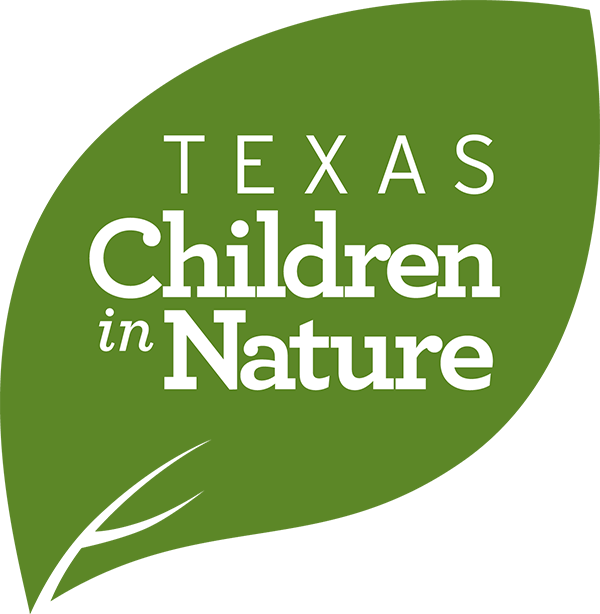 The Green School Park concept is an outgrowth of the Cities Connection Children to Nature (CCCN) project that is a partnership between National League of Cities, Children and Nature Network (C&NN) and the City of Austin. Barrington Elementary School was chosen for the project after the CCCN leadership team mapped the city to look for neighborhoods that have a park deficit. Like many neighborhoods in Austin, the community around Barrington grew quickly and did not have the time to adequately plan for parks to meet the growth. However, many of the schools in the area have large outdoor spaces that can serve a dual purpose as a school campus and a community park. AISD and CoA have adopted this innovative idea and will add an additional demonstration site at Woolridge Elementary School. There are twenty four schools in Austin that have a joint use agreement between CoA and AISD that could be utilized in the same way. The majority of those schools are also located in fully developed neighborhoods that also lack equitable access to parks and green spaces. Dr. Stephen Pont, Director of Science and Population Health at Department of State Health Services shared, “Research shows that when children learn and play in nature they are healthier - both mentally and physically, have higher self-esteem, are more creative, feel more connected to nature and perform better in school.” Dr. Pont is also serves on the Board of Directors for C&NN. At the dedication, the Austin Parks and Recreation Department gave the school a set of “loose parts” to facilitate nature play on the campus. Principle Gilma Sanchez accepted the gift, thanked all the many partners that worked on the project, then invited guests to explore the campus and enjoy the myriad of activity stations set up along the walking trail and sports field. In the spirit of the school’s mascot, the children raced towards the activities like a stampede of wild Mustangs. The community is invited to enjoy the Green School Park during out-of-school-time and this summer. It will take a few seasons for the National Wildlife Federation’s Pollinator Garden and donated trees to reach their full potential. Additionally, the campus will continue to receive improvements in phases as other partners are brought into the project.